The testimonials below are just a few that have been collected on the effectiveness of Cansema® (both black topical salve and our internal versions - human use only, see also animal use), as well as our CanSupport products. The testimonials on this page are primarily those we have obtained over the past year while setting up our lab in Guayaquil, Ecuador. 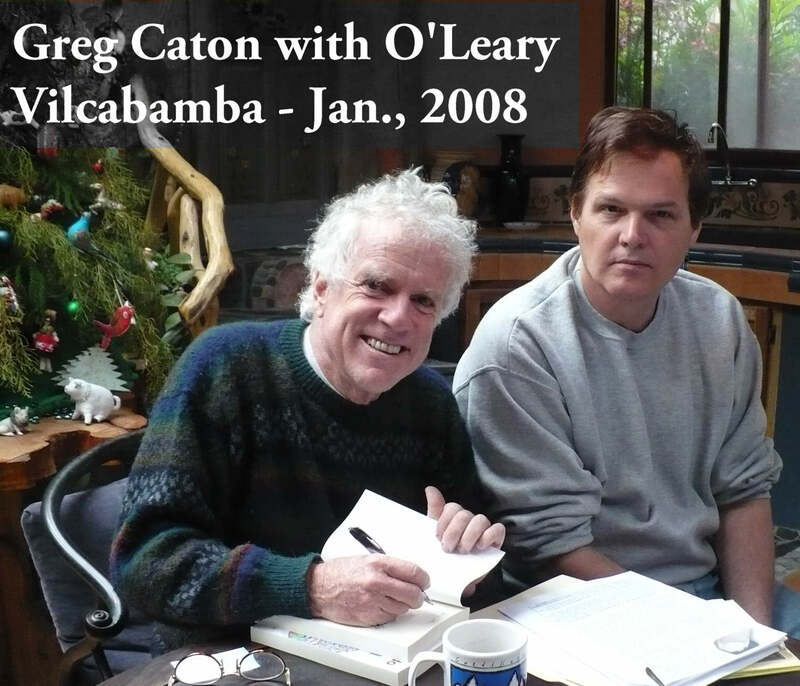 There were no attempts to collect or post testimonials between 2003 and 2007 -- due to the fact that the lab was closed down after the FDA raid in September, 2003 and the subsequent fraudulent imprisonment of AO Labs' founder, Greg Caton (left) -- the subject of the upcoming book, Meditopia. 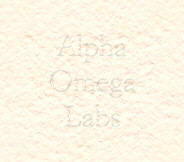 (The lab did not reopen until 2007, and the online store did not reopen until June 1, 2008). As always, we have made no attempt to alter any of the language (syntax, punctuation, spelling, etc.) of these written letters and/or email missives, excepting minor spelling errors. Thousands of other individuals have been helped who did not take the time to sit down and write letters or send email. You may contact these individuals directly, if you wish, where contact information is provided. Some portions of this page have little graphics, but are text heavy. We have a pictorial testimony page, if you want a more visual representation of how Cansema® works. Disclaimer: The purpose of these testimonials is to provide you with an insight as to what other Alpha Omega users have reported, and to provide a foundation for the legitimacy of our research and overall work. No responsible maker of herbal products, Alpha Omega included, would infer that testimonial inputs carry the same weight as well-constructed clinical studies. To U.S. Users: None of the Alpha Omega Labs' products mentioned in these pages have been evaluated by the U.S. Food & Drug Administration. Therefore, they are not intended to diagnose, treat, cure, or prevent any disease in your country ---- even if that is the manner in which they are used in virtually every other country on earth. I have used Cansema on a non healing wound the size of a pencil eraser and much to my amazement as per your instructions the results were amazing. It took 14 days total from start to finish, along with the use of QuikHeal, which is totally amazing. The area is clean and it was like nothing was ever there. Of course I have an appointment with a Bd Certified Dermatologist for a skin check of the area. I have a pastor friend of mine who was given 6 months to live. He has a tumor in the back of his throat and two on each side of the throat. Well, he is using your product, Cansema®, and if I had not seen it myself I would never have believed it. The tumors are on the outside now of his throat. It is amazing (as he has) passed six months. I am a cancer survivor, but that is because I will not let the doctors do chemo. It has been six years now for me. I am a true believer of natural cures. I am passing this wonderful news on to all our church members. Our pastor friend is Donnie Sneed. God help you on what you are doing. When you were out of business, I tried products that marginally helped. Now you are back, I have used most of one tonic 3 and two liver/kidneys capsules, and have more on order. I have already had beneficial results, such as, pressure around my eye has vanished and a knot in the brow above it gone; rectal bleeding stopped. Your products have been helping more than anything else I have tried. Hi, my name is [name deleted], I'm a 45 year old male who, in my younger years, spent a lot of time, unprotected, out in the sun. It was during my early teens I started to notice moles appearing all over my body and in the ensuing years these have multiplied. A number of years ago I had a cancerous mole surgically removed from my back, I had to have numerous nerve-block injections in and around the area and to this day I still believe I could feel some of the cuts made by the scalpel and because the location of the surgery was in an area where the skin stretches it has left me with lots of scar tissue. After such a traumatic experience, I was adamant I would never go back to have anymore moles removed. A few years ago I was sent a jar of Cansema and a jar of Bloodroot Paste by a pair of well-meaning elderly aunts. Over the years they had overwhelmed me with all sorts of pastes, salves and liniments for my (ever-so-slight) receding hairline, so when I received these latest products, I was skeptical. One slow afternoon I decided to research into the Bloodroot and Cansema pastes. The more I read, the more curious I became and finally, with major trepidation, I treated my first mole. I remember thinking "what the hell am I doing?" after the first week of application, and "this is stupid" every time I re-applied the paste and redressed the area. Everything slowly took place exactly as the instructions said it would and I have to admit I was more than a bit concerned when an infection developed, but you could have knocked me over with a feather when the dried-up mole almost literally fell out and I was TOTALLY blown-away when the fresh skin underneath healed during the next two weeks and left a barely noticable scar... this stuff is BRILLIANT! THANK YOU, THANK YOU, THANK YOU for producing and selling your incredible products, I tell everyone I know of your products and even volunteer the use of my dwindling supply of Bloodroot paste to prove how good it is. Needless to say I am disgusted by the "powers-that-be" which are trying to stop you from providing these natural remedies. May their pettiness and/or greediness be their downfall. We are having good results using these products for my wifes throat cancer ...MD Anderson sent her home 8 weeks ago and said she had approx. 3 months ....wanted to put her under hospice....we are using these products as part of her treatment program and two tumors have disappeared and the primary is shrinking. She has gained 7 lbs and says she is feeling "normal" .....she is on no pain meds and all body functions are good. Thank you for making these awesome products available. If you're interested, an update with pics of the two latest cancer removals - face and chest. . . The one on my face came out quite well . . . still working on the chest. 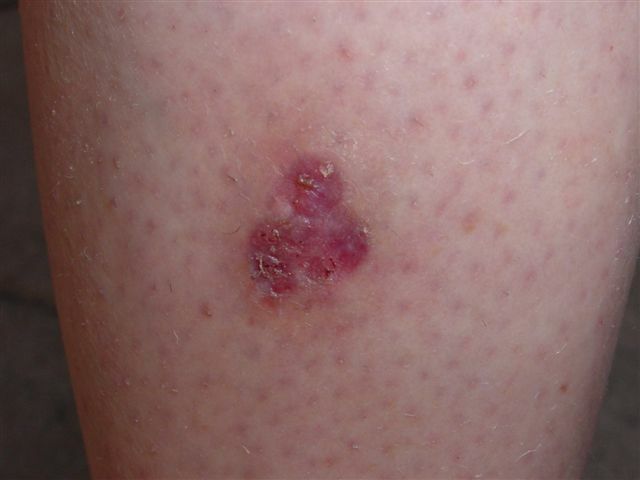 Cansema eradicated cancers on my leg and the soft tissue of my mouth, in 2001. Thank you, and no recurrences so far. I understand why you do what you do. My father drilled into me every single day of my young life, think for yourself. Thanks to him, I do not automatically bow to authority figures. And it's so much fun to cure your own cancer! I love utilizing my own power. You couldn't find a more loyal supporter for this product, and you may use this testimonial in any way you wish. [ It would be reckless, foolhardy, and misleading to say that curing jaw cancer is a walk in the park. We have a protocol that works surprisingly well -- but it takes diligent, sustained effort over a period of several months to work. (See the well-documented case of Kent Estes as an example.) Most people prefer to listen to their oncologist, of course, in the face of horrifically negative statistics as to the outcome of orthodox methods of treatment . 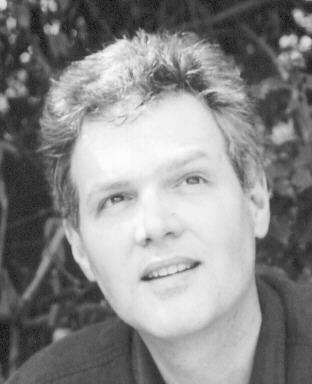 . . in fact, I just lost my uncle (John Caton of Richmond, Virginia) to jaw cancer -- well, actually, it was quite metastasized from all that wonderfully expensive radical surgery he'd been through that insures that the cancer growth spreads like crazy . . . Truth be told, I don't think John even WANTED to live after they wired his jaw shut and put him on an orthomolecular-sized regime of powerful analgesic drugs. You may remember the Biblical quote that a prophet is not respected in his own home. Neither are those who deal in the alternative health care field -- as I can attest . . . as Bob Hurt,	whose letter you can read below and who has courageously dedicated his life to alerting patients to effective alternatives, can attest. Sept. 19, 2008 @ 1:52 a.m.
" You can see a slide show of my brother, Norman, over the past 8 months. He thought he had an abscessed tooth. He had cancer. Instead of going to Greg Caton the way I told him (http://altcancer.net - Greg moved to Ecuador after getting out of prison - he had sold an anti-cancer product that really worked - Cansema - and now he's selling it full blast from Ecuador), Norman went the traditional route and thinks his cancer is gone. Maybe it is. But look at him in this video and see the transformation - he aged 20 years, it seems. He eats through a feeding tube because his mouth and throat are completely raw and damaged from chemo and radiation. He thinks he might not have had cancer at all because of a weirdness in the diagnosis and subsequent comments by the doctor. Instead of going through that, call Greg Caton. Get his phone number at http://altcancer.net. " . . . and then this . . . just 3 days later.
" My brother Norman in the below photos shows the result of the cancer treatment. One lip unresponsive due to cut nerves, gauntness from losing weight as a result of eating through a tube in the belly, purple mouth (last photo) from gentian violet to treat the mouth sores. Told me a couple of days ago he drank some coffee and a smoothie, still hurting, but tolerable. The two females are my sister Claudia and Norman's daughter Ashley. " 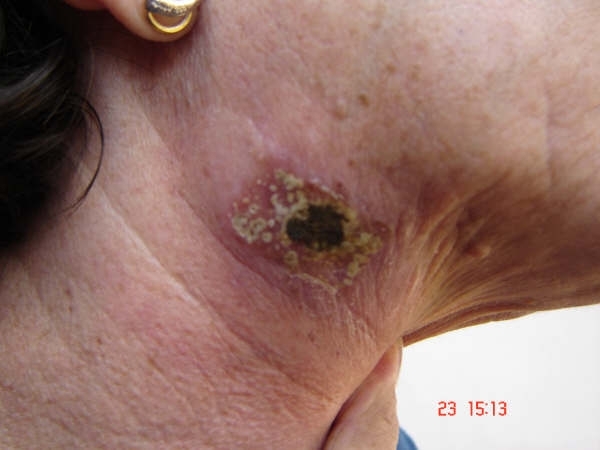 I heard about cansema ointment for skin cancer from a friend in the US whose husband had a major oozing skin cancer on his back (about the size of a silver dollar)- used this product and within a month to 6 weeks was perfectly healed. My sisters finance had an oozing sore on his hand (about the size of a quarter) - I recommended him to go to this website and order it for himself - which he did...and much to his amazement, the sore has now completely healed. He has others on his body that he is now applying it too. 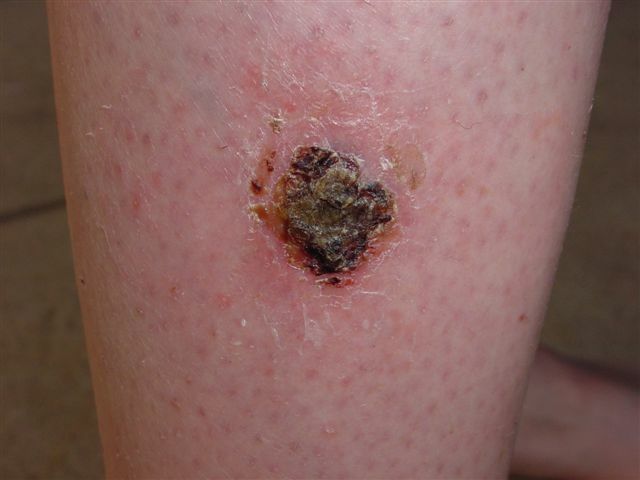 My husband also had some 'questionable' looking sores on his legs - he hadn't been to the doctor about them, but I too ordered the cansema ointment which he used - and voila - they too are now healed. I am only sorry that we did not take before pictures to post for you...but we can testify to the fact that this product miraculously works. Where the medical profession failed. Get it! You won't be sorry! I am so glad you are still around! I periodically check to see if the real "cansema" is being formulated again and I just checked and found you. I purchased real "cansema" sometime ago and found that the discolored moles on my husbands face took to the "cansema" and fell off. I also used the product on a small unhealing spot on my forehead. According to directions and process information, it also came out/off. 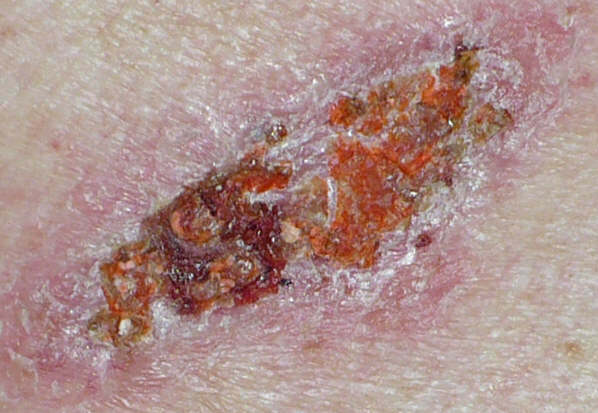 Just to prove the reality of the product, I also tried it on some other areas that I did not think were cancerous and just like your literature said.... all it did was get a little red but did not adhere to the spot. Proving once again that it only sticks to the spots if they are cancerous. It does what it says it will do! Time went by and I went on the website to find that you were shut down. I waited and ordered some more product (or so I thought) from another place online. When I opened it I could tell right away that the consistancy was not the same as the original that I had purchased from you. I tried to use it and it didn't even remotely act like it should have. I had two spots on my arm that were looking funny and the "other product" did nothing to them but make an oily mess. My husband found out that a friend of his had some of the real "cansema". So, I used it and right away could tell it was the right stuff. It dealt with the two spots on my arm and they are gone. I have waited a few years now and found you producing again and I am so glad. I will be purchasing some real "cansema" again from you..... only your product works! I have been diagnosed several time with Basil cell skin cancer. I have even had several surgeries to remove it. After talking to some friends who have tried your product, I thought "What do I have to lose?" I had several areas I wanted to try. The first being my nose. Just after 4 hrs. I felt it eating away the cancer. Not known for my patience, I removed the bandaide to peek at what it was doing. I was suprised at how fast it worked! I have used other topical creams, and it would take a month to do anything. The other thing I was impressed about was how it only works on the cancer! I tried some salve on a dark freckle to see what it would do, and nothing happened. It didn't even get red. Just after only 5 days my eschars came off, and the sores are healing nicely! Also, I had some discomfort the first day, but then it was very little after that. I think your product is amazing and would highly reccomend it to any one with skin cancer. Keep up the great work! So pleased to see you are back in business! The question is about my father who is 82. For 20 years or so (before using the salve) he had terrible itching at the top of his back, epecially the last 10 years. There was no rash, moles or anything there. He went to the doctor who said it was his age and it was probably dry skin (he did not have dry skin because I looked) and told him to use some special oil in his bath. Three years ago I suggested to my mum to put some cansema on a bit of his back where it itched the most. A huge tumour came out (it was at the top of his spine) and another one a little lower. 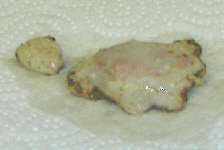 (photos attached) The skin had a lump come up after the first tumour and another big tumour came out with the application of cansema . . .
(The enclosed) photos are from July 2005. His health seems OK, he does his garden and goes for a walk most days. I had 22 BCC's. My name is Lloyd Young, Chattanooga, Tennessee. I am one of the thousands of satisified "Cansema" users. You (James) talked me by email through the removal of 22 sites that I successfully removed at ONE time in early 1999. Your response was, "Don't tell me you did all 22 at one time." Yes, I did! I'm glad I did, too. Today a friend called me about her issue of a breast lump and what she could do naturally for this condition. Browzing through my usual web sites for links to share with her I DISCOVERED THAT YOU'RE ALIVE & WELL & BACK IN BUSINESS. HALLELUJAH!!!!!!!!! GREG, I'm asking if I could send my testimony and pics of during and after. I know your "guideline" instructions seems to be an open invitation to share - since I removed my BCC in early 1999 my story might be too old. I am a former customer. 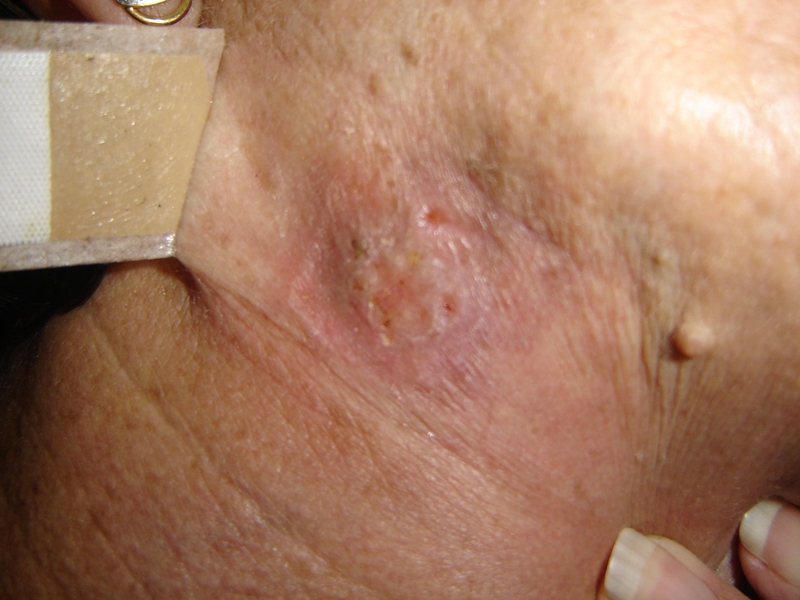 I had a squamous-cell skin cancer diagnosed in early 2001 and subsequently had Mohs surgery for it. 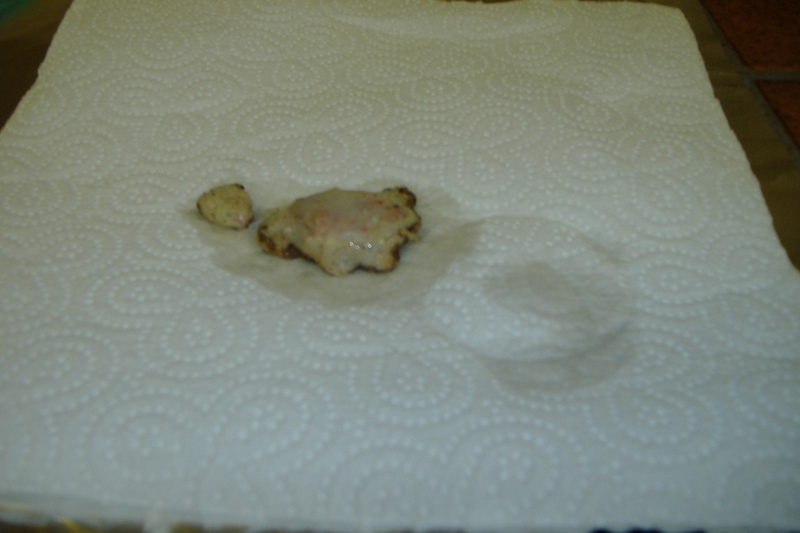 Although it was tiny, smaller than a pin head, a piece of tissue about 1.5 inches in diameter was removed from my nose. It took forever to heal and left a bump at the opposite end from the cancer site. I vowed I'd never go through that again, so ordered black salve from you. Not long after, I had a series of 7 small cancerous growths on the other side of my nose. I didn't see an MD about these, but used the black salve. In every case, it burned off the tissue and the sites healed quickly. The last one turned out to be very large with legs and I felt it was the primary one from which the others had emerged. It left a pit almost a half inch in diameter when it fell off. Now you can hardly tell there was anything there. I used the H3O. I still have the salve, but was distressed when I found that your business had been raided in 2003 and your products were not available. So when I discovered this site, I was delighted . . . I am thankful I have not had any more skin cancers, but I like to be prepared just in case. I am glad you are still alive and well. Brian O'Leary is a widely regarded author, scientist, and former NASA astronaut. His 11 published books and numerous articles make compelling arguments for the development of "free energy" -- and an end to the suppression of disruptive technologies, in general, that are necessary for the future of humanity. His Ecuadorean paradise in Vilcabamba, Montesueños, serves as a retreat for like-minded thinkers, writers, and other intellectuals. 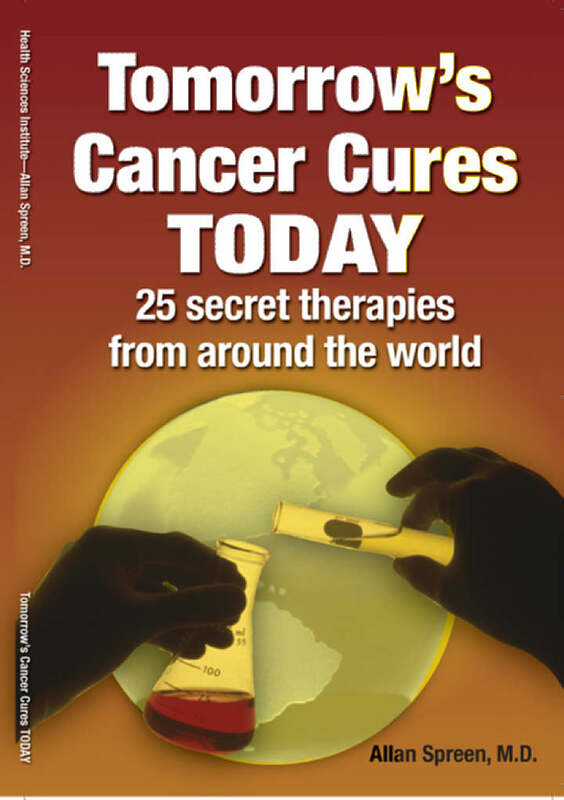 Dr. Brian O'Leary's testimonial is the basis for a chapter in Tomorrow's Cancer Cures Today: 25 Secret Therapies from Around the World by Dr. Allan Spreen (M.D. ), put out by Agora Publishing. Dr. O'Leary had suffered from an incurable lesion on his back for three years. When he went to have it biopsied, he was told that he had a BCC (basal cell carcinoma) and that it would need to be surgically removed. He very reluctantly agreed to the surgery, knowing that surgeons "usually underestimate" the resulting side effects of the surgery. Three days before the surgery was set to occur, O'Leary met with AO Labs' founder, Greg Caton, to discuss his case. Based on the input from Caton and that of other successful Cansema users, O'Leary cancelled his surgery and used Cansema instead. Dr. O'Leary indicates in his book interview that the process was "somewhat painful," but "a lot better than surgery." Details about the upcoming book on tried-and-true international cancer cures will be forthcoming on this site. I just wanted to let you know that my daughter used cansema on a "mole" on her back three years ago. It reacted exactly as your company says it would. She went to the doctor to have the rest of it removed and the test came back as benign, thus proving to us that cansema did indeed kill the cancer. We recently found another spot on her foot and used the salve. It took two weeks and was quite painful, but it is totally gone now ans she is healing nicely. Her doctor is not concerned and all looks well. Thanks for the product . . .
(After sending a thank note, the following was received from the same party on Sept. 4, 2007): It never fails..when something works and is good for a person, someone evil has to come along and destroy it. Sorry to hear about the trouble, but am very happy to have contacted cansema before the shut down. Good luck and my God bless the efforts to help people. 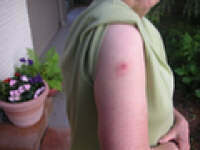 I have used the Cansema topical salve because i have basal cell and squamous skin cell carcinomas. 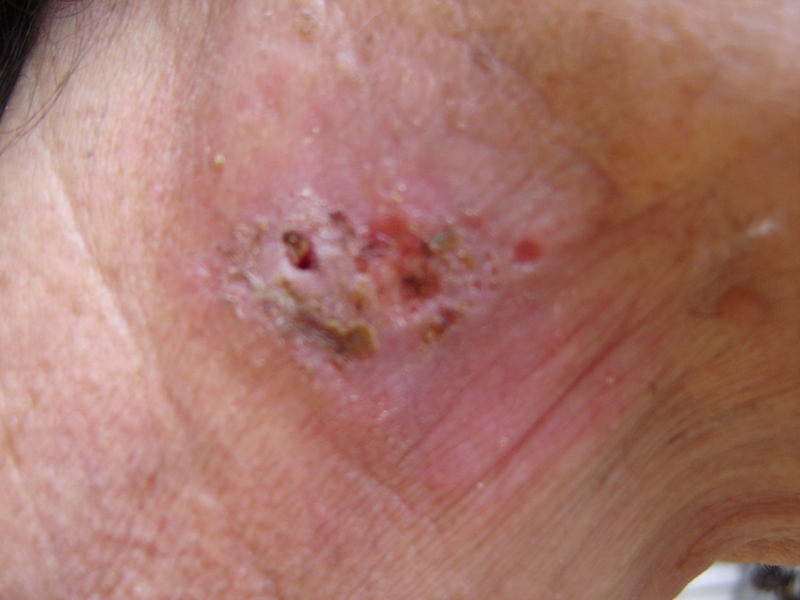 I have had several removed by Mose surgery and other methods but see less scaring for the most part and less down time, and i feel it pull from surrounding areas with the salve. Would love to take CanSupport but cannot get it. This salve is amazing, however. I have used it on my face and now am using a 9 year old jar on a place on my arm. Wish me luck. Everyone who struggles with the large industrial drug system their unwillingness and their inability to get us the things we want made available is in my prayers and i will send lots of positive thoughts that something will happen to help us all to get what we choose. I bought the Cansema from your website before it was closed down. It's amazing to me that the stuff is still potent after at least five years. My friend who used it lives in a low income senior housing apartment and she wants to pass along some of it to a neighbor. I hope the jar doesn't come back empty! Another amazing story of successful Cansema use, this time from practitioner, Neville Solomon, in connection with a traumatic burn incident involving his own daughter, Amanda. Here's the story and pictures. Señora Rosario's story is told through a collage of pathology reports, with the assistance of her daughter, Carolina Malta. See full story.